The twin-engine plane crashed at approximately 1:30 p.m. Wednesday in the Rae Glacier area, RCMP said in a release. 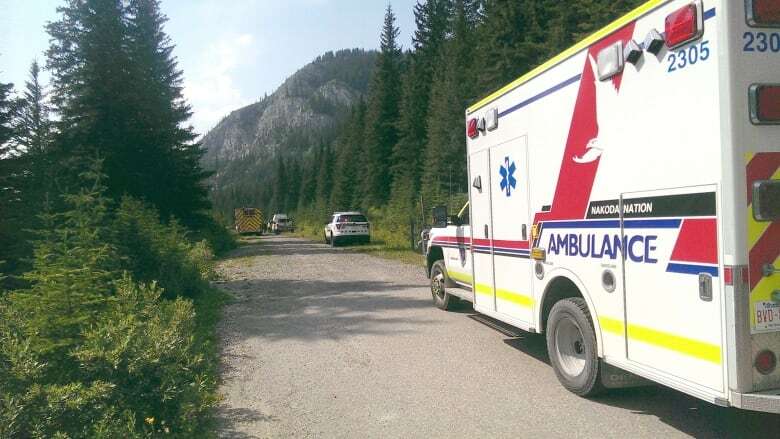 Two men are dead after a plane crashed into a mountain in Kananaskis Country, west of Calgary, on Wednesday. The twin-engine, Piper PA-31 Navajo crashed at approximately 1:30 p.m. in the Rae Glacier area, RCMP said. "As far as we know, they were doing a mapping exercise," Cpl. Chris Kosack said. "They did hit the mountain known as Mount Rae and then slid down from there." RCMP established there were two people on board the plane, and Kananaskis Public Safety Officers recovered two bodies from the wreckage. Chris Krepski, a spokesperson with the Transportation Safety Board of Canada, said the plane had a pilot and survey technician onboard. The plane was headed from Penticton to the Calgary Springbank Airport, and hit the mountain about 64 kilometres southwest of that airport, Krepski said. "We're deploying investigators to the access site tomorrow, they're expected to arrive late in the morning. We'll be gathering information on the site there," Krepski said. He said there was no indication yet on the cause of the crash, but investigators will survey the aircraft and collect pieces of the wreckage for further examination. Calida Lara of Aries Aviation Services Corp. confirmed the plane was owned by Aries. She declined to provide any additional information about the plane's route or occupants until the families could be notified. Police said they wouldn't be providing any information about the plane's occupants at this time. Hiking trails and backcountry access in the area, including Ptarmigan Cirque Trial, the Rae Glacier Route and Rae Mountain, are closed.